If it’s November it must be New York. That’s because the largest hotel industry tradeshow and conference on the east coast took place on November 11th and 12th at the world-famous Jacob Javits Convention Center. 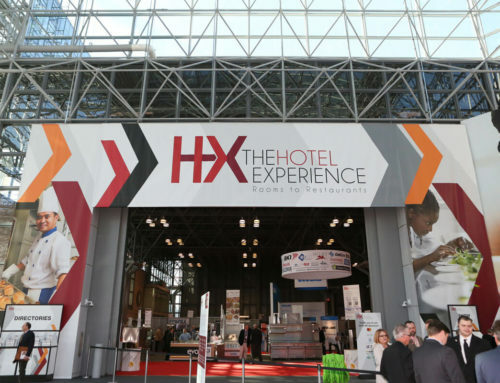 Here HX: Hotel Experience and its design brethren, BDNY attracted more than 7,000 lodging industry professionals all looking to better understand hotel industry trends they’ll be able to leverage for the coming year. 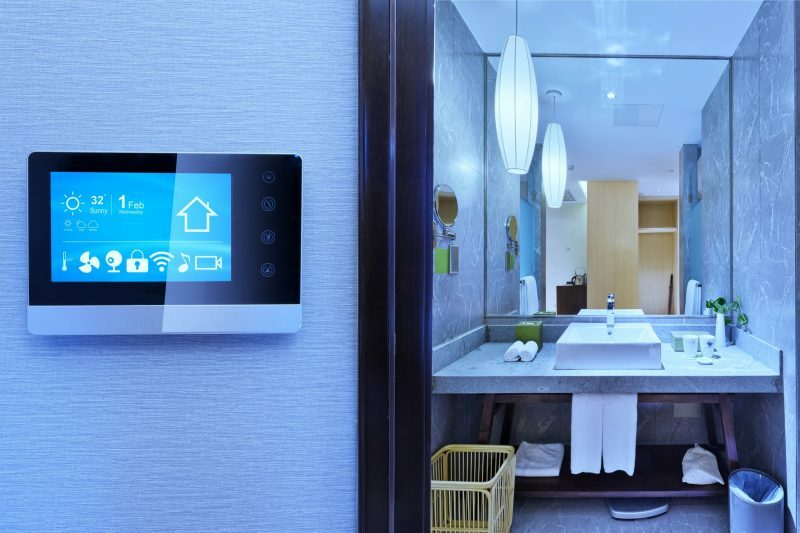 The number one trend: the continued and growing importance of hotel technology. But it was all set against a backdrop regarding the financial health of the hotel business. Fortunately, the lodging sector is still in good shape, according to Ryan Lynch, business development associate and industry partner at STR, even as the record 102 months of continuous RevPAR growth came to a halt in September. According to Lynch, this had more to do with the artificially high room rates created during the 2017 hurricane season – particularly in Houston — than an emerging long-term problem. STR believes supply will increase about 1.9 percent in 2019 while demand remains a robust 2.1 percent demand, which should translate to a 0.2 percent occupancy gain with a 2.4 percent increase in ADR as and RevPAR grows 2.6 percent. The big trends, however, are all from increased dependence and utilization of technology, both to empower customer experience and as a way for hoteliers to mitigate rising labor costs through automation. The seemingly biggest tech focused hit at HX achieved both in the most unlikely way. Sally is a robot about the same size of a dorm room refrigerator and is designed to make salads from 21 different ingredients such as lettuce, kale, seared chicken breast, Parmesan, California walnuts, cherry tomatoes, and Kalamata olives. Users mix and match the ingredients for up to 1,000 combinations that’s prepared automatically. Sally joins an increasingly larger list of robots designed to automate tasks such as washing dishes, vacuuming carpets or delivering towels to a guestroom. This allows hoteliers to better deploy increasingly more costly labor to places where they’ll have higher impact on making that emotional connection to guests. Digitally driven smart rooms also came to the fore during HX. In fact, the 2018 Editor’s Choice Awards during the Hotel Experience awarded CIRQ+ both Best New Hotel Product and Best of Show during HX. The product is a patented, cloud-based platform that modernizes hotel rooms with a modern approach to an energy management system by unifying in-room products such as power outlets, charging, alarm clock, Bluetooth speaker, thermostat controls and more. Guests control it all through an app that retains their personal preferences, once again highlighting the importance of cloud-based technology within the hotel industry. 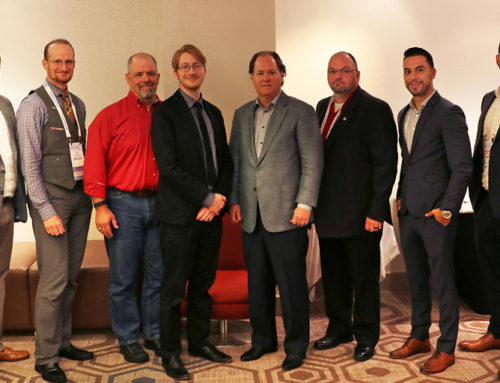 Products such as CIRQ+, robots, and more all leverage the power of the cloud, increasing its overall importance to powering hoteliers to success. But to maximize effectiveness, all these emerging products and services must be tied together through the hotel’s property management system. 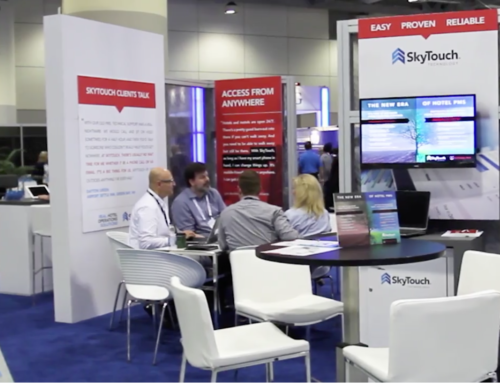 During HX, the SkyTouch Hotel OS was on display as the most used cloud-based Hotel Operations Platform. SkyTouch helps hotels improve revenue and optimize operations by not only connecting to other hotel technologies, but by giving hoteliers access to smarter tools such as Advanced Rate and Group Management, Business Intelligence, and the SKYTOUCH/CONNECT API, which enables rapid integrations with products just entering the market. Now’s the time to step into the future with a cloud-based property management system that can handle new technologies as they come to market. Fact is, technology will play and increasingly important role for a hotel’s future financial success and the right PMS is critical to ensuring your hotel can maintain its market position.